Toronto‘s finest business schools have spent the new year making positive contributions to the fast-changing world of business education. We’ve laid out some of the high points. In the age of information, the business arena is changing at record pace. In order to keep up, Canadian business schools are shifting focus from concrete skills to abstract ones. Creativity and innovation, for example, are at the forefront of the curriculum for schools like Western University Canada’s Ivey Business School. In fact, Ivey recently staff conducted 250 interviews with international industry leaders in order to glean which skills are in high demand in today’s marketplace. Learn more about the demand for soft skills in the marketplaces here. 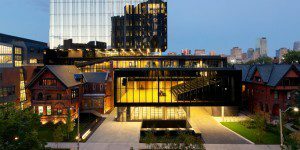 On January 11, York University’s Schulich School of Business opened the doors of the Rob and Cheryl McEwen Graduate Study & Research Building. The building, designed by Baird Sampson, is among the most environmentally efficient academic buildings in North America. Funding from the Canadian Government’s Post-Secondary Institutions Strategic Investment Fund, Schulich’s Leading Change fundraising campaign, and a generous donation from Rob and Cheryl McEwen made the $50 million project possible. 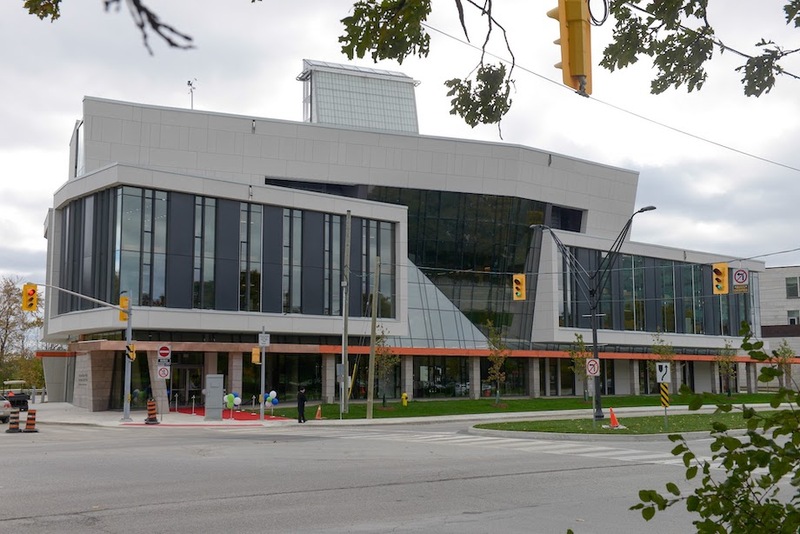 The all new Rob and Cheryl McEwen Graduate Study & Research Building, opened Jan. 11 at the York University School of Business. The building will house Schulich’s Research Office, as well as the Centre of Excellence in Responsible Business, the Schulich Centre for Global Enterprise, the Brookfield Centre in Real Estate and Infrastructure, and the newly-established Centre of Excellence in Business Analytics and Artificial Intelligence. You can read more about the new York Schulich building addition here. Voyt Kryzchylkiewicz moved to Canada from Johannesburg to pursue his EMBA at University of Toronto’s Rotman School of Management and launch a business venture. In his first blog entry for EMBA Diary, he discusses those challenges and lessons of the past year of his life. Before his move to Canada, Kryzchylkiewicz served as a board member at several companies in Europe and Africa. However, his experience with Canadian companies was limited, and he did not meet the criteria to be considered for similar positions in his new home. Kryzchylkiewcz entered Rotman with the hope of developing a professional network in Canada. Learn more about Kryzchylkiewicz’s experience here.